I receive this award from Sherline she was such a blessing to me during the fast, I continue to look forward to her new work on her new site! Please stop by her page. 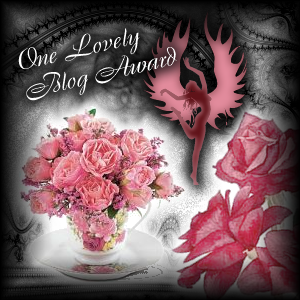 There are no rules for the One Lovely Blog Award I am just going to share the love! Here are the lucky six! Share the wealth! Thanks again for the nom Sherline! Awww! Thank you so much. I appreciate that a lot!!! Congrats, my dear! 🙂 I have a feeling you are going to get a lot more!!! You so deserve this. your blog truly is lovely. Thank you so much with the honor of nominating me. I am really flattered & will try to nominate other worthy blogs. i want to make sure i take the time, so i may not get the post done for a few days. but i wanted to say thanks & how much i appreciate it. & once more: congratulations!